Welcome to Jai Shree Rasayan Udyog Ltd.! Under the able leadership of a young, professional and dedicated Director Shri Sanjay Aggarwal and other highly skilled and dedicated staff, the company is growing exponencially. Hi expertise in quality business system and the acumen to adopt the latest international practices has enhanced the company’s credibility in the agrochemical industry. More than 3000 dealers & 10,000 retail outlets in over 1200 cities. Strong & Satisfied customer base of above 10 million farmers. 24 fully computerised branch offices across the county. 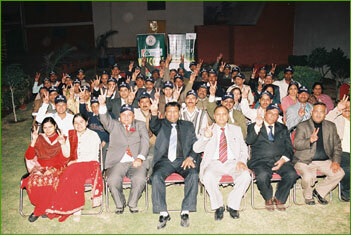 After sales service is a benchmarked operation with a team of over 200 motivated & dedicated sales personnel. More than 140 product range in all packing at most competitive price packed in world class designs. With constant new developments & expansions more products are added to the list every year.